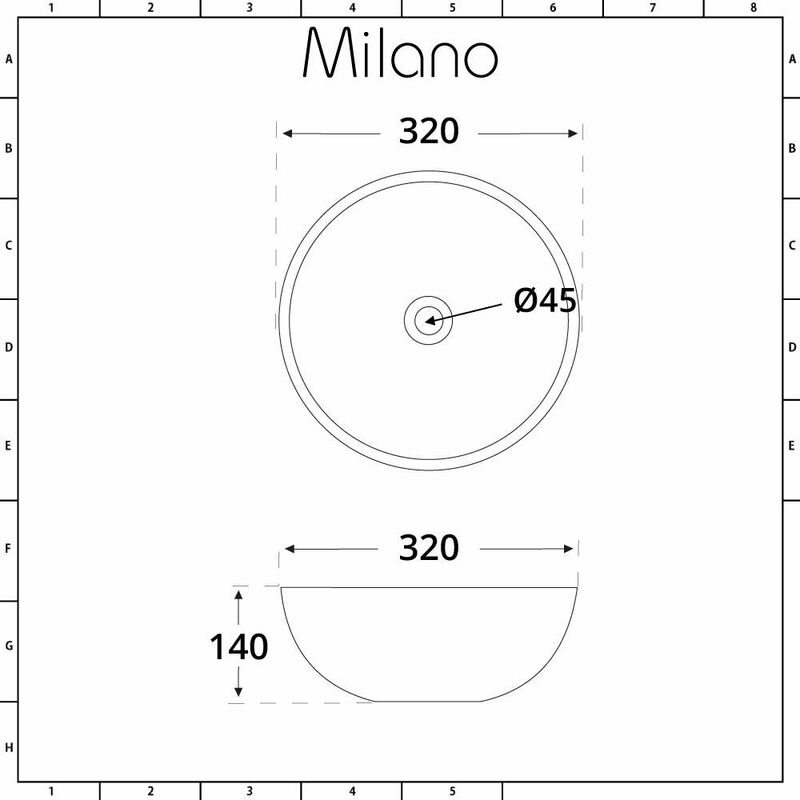 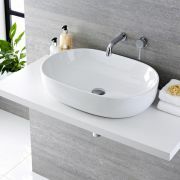 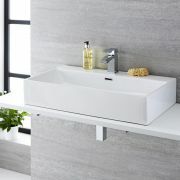 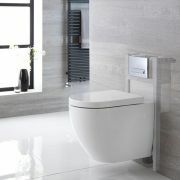 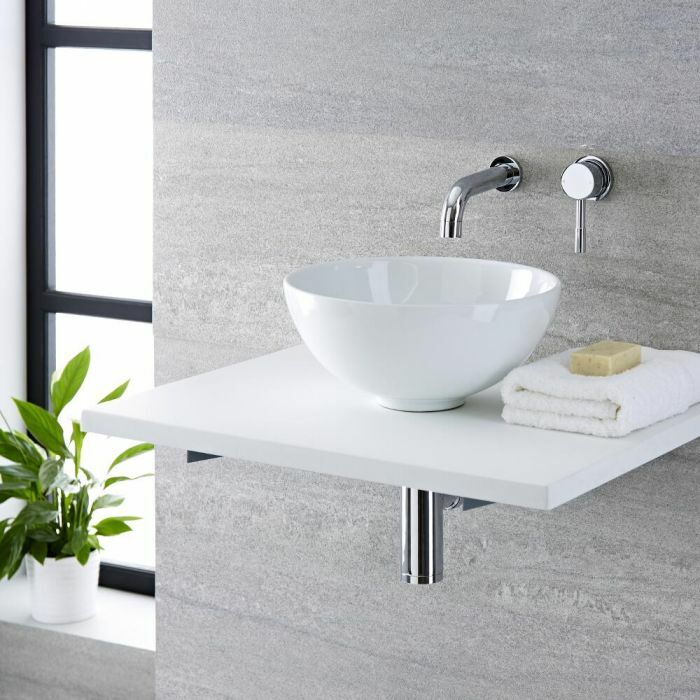 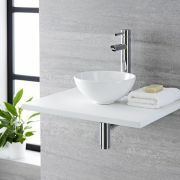 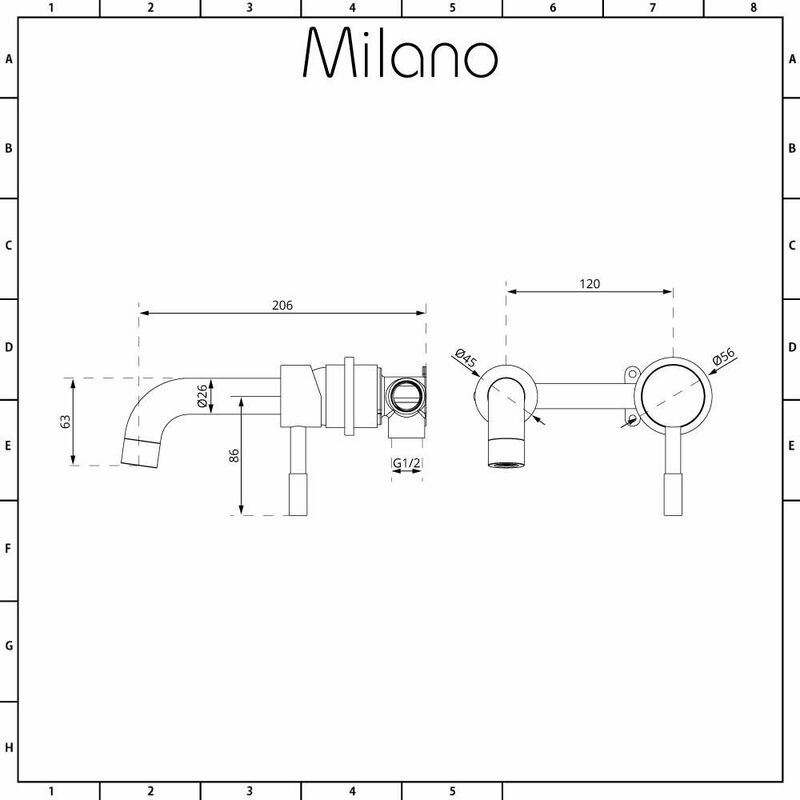 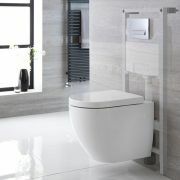 Create a new designer look in your bathroom or en-suite that is the definition of style with the Milano Irwell 320mm round countertop basin and Mirage wall mounted mixer tap. 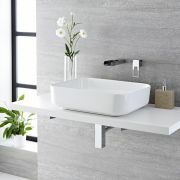 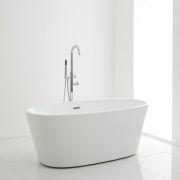 The contemporary look and simple elegance of the high quality ceramic basin with its smooth curves complements the minimalist design of the solid brass tap to make an eye-catching partnership for your bathroom. 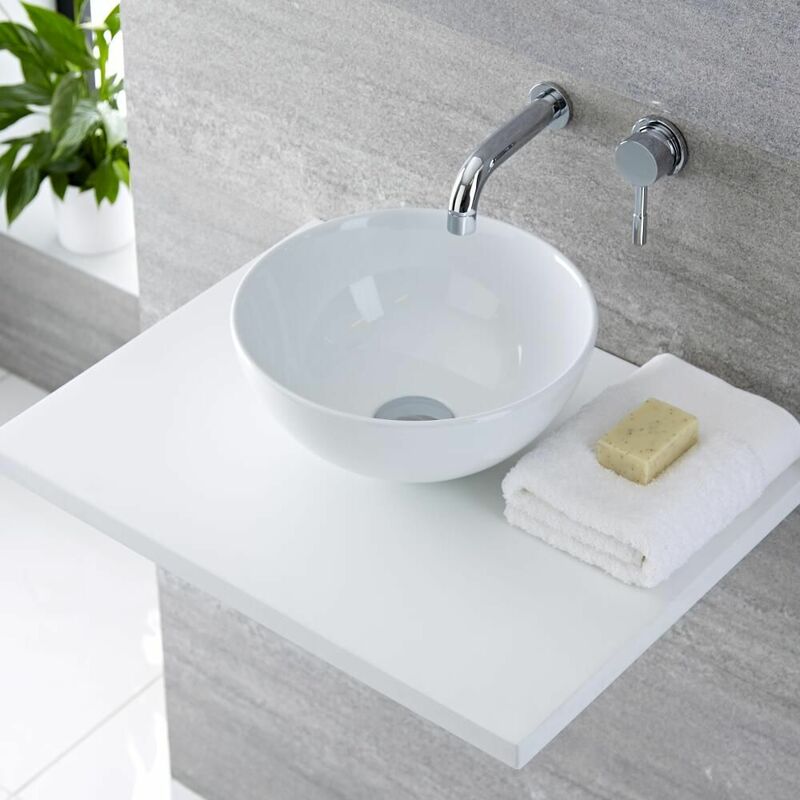 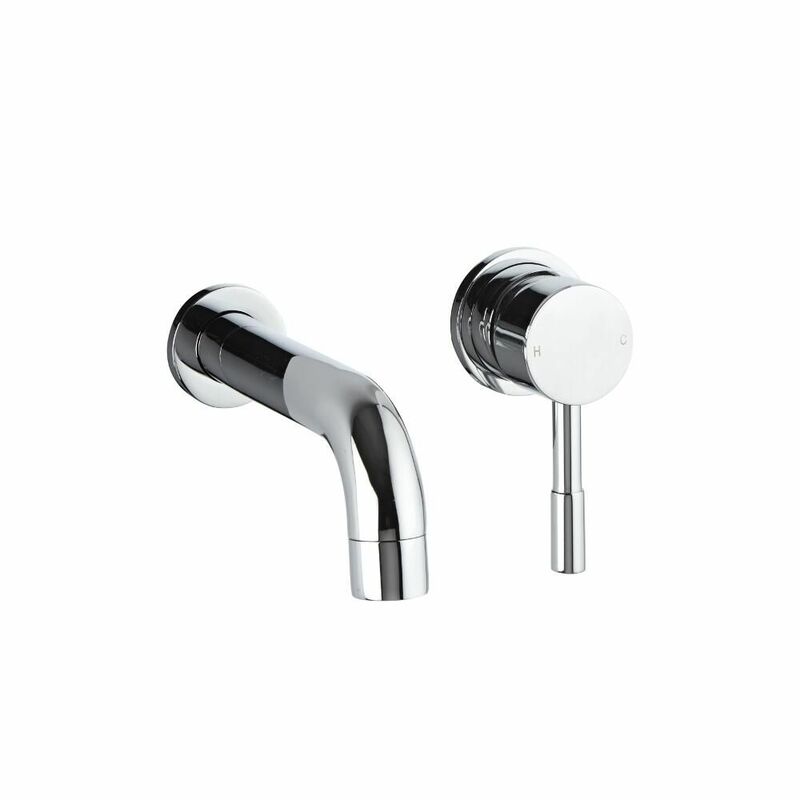 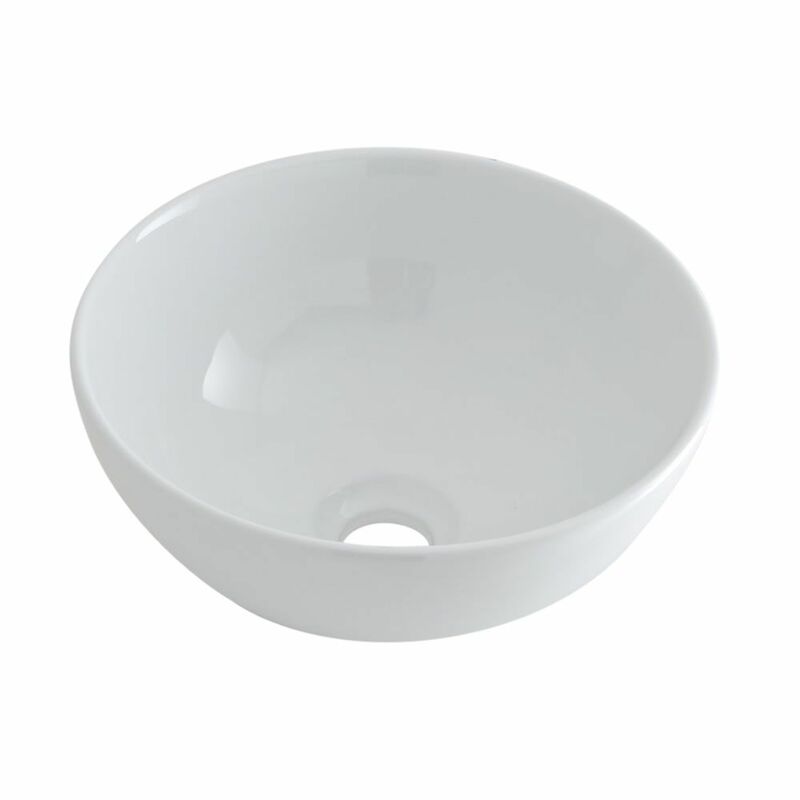 Not only are aesthetics important but so is durability thanks to an easy to clean white glaze on the basin and a striking chrome finish on the tap to allow them to look their best for years to come.